If you check your PC Optimum App, you will find the Points Days offer. This is a targeted offer with different pts/spending. Generally speaking, it is 10% bonus + another 5% bonus if you have a PC Financial MasterCard. Note: this offer is for Real Canadian Superstore (Grocery), not for Shoppers. So, 15% bonus is quite good. And, you will see many discount in RCSS stores until Jan 27, 2019. 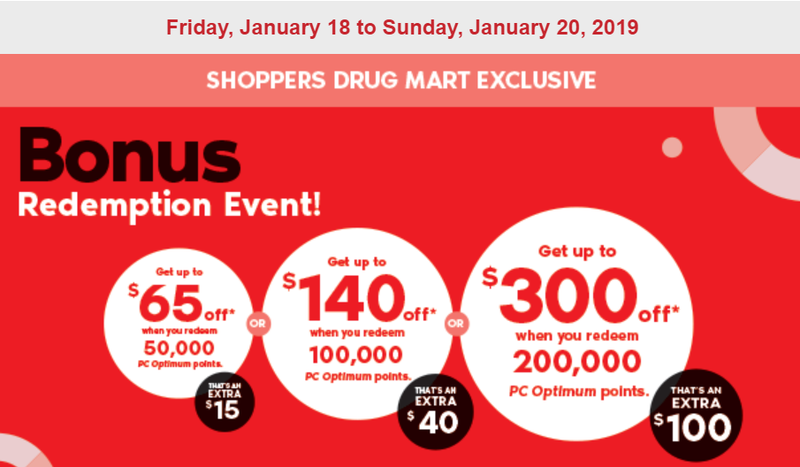 BTW, you can accumulate PC Optimum points and use them for Shoppers Redemption Event in the future (200K points = $300 off). If you redeem Shoppers points between Jan 18 to Jan 20, 2019, you may get up to an extra $100 off. This is the Shoppers Redemption Event. 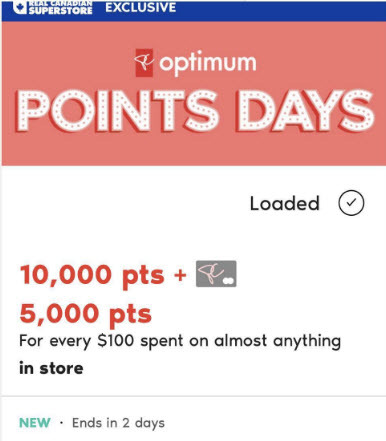 BTW, there will be another Optimum Points Days Event between Jan 24 to Jan 27, 2019. We will post the deals here when it is released.